News Corp Australia is the country’s number one prestige publisher, reaching a total of 7 Million* or 9 in 10* of consumers in the desirable A and B socioeconomic demographic. The News Prestige Network uniquely engages with affluent consumers, at scale in prestige environments with credible, trusted global and local brands. The power of our ecosystem of prestige brands and audiences extends across digital, print, social and experiential. This is a rich platform that spans life stages and demographics and includes The Australian and its prestige assets such as WISH, The Weekend Australian Magazine and Mansion; our lifestyle assets Vogue, GQ, Vogue Living and delicious; and our News Community Prestige mastheads in affluent areas : The Wentworth Courier, Mosman Daily, North Shore Times, Progress Leader, Stonnington Leader, Brisbane News, Eastern Courier Messenger, Western Suburbs Weekly, The Bayside Leader and the Caulfield Glen Eira Leader. Luxury consumers seek out the best in trusted environments and content. At News Corp, we ensure the highest quality across all our platforms and our News Prestige Network brands are at the heart of this demand for excellence in everything we do. WISH magazine is about the best of everything. It’s for savvy, intelligent people who are interested in fashion, world travel, fine dining, fast cars, design and architecture. Australia’s leading decorating and design magazine, Vogue Living claims an enviable position at the top end of the magazine market, while maintaining an accessible and engaging approach. to keep connected since 1947. From community news to the latest in fashion, entertainment, dining and real estate, the Wentworth Courier is the voice of Sydney’s Eastern Suburbs. Our lifestyle content has a local angle and is relevant to the audience, who are spoilt for choice. From community news to the latest in fashion, entertainment, dining and real estate, the Mosman Daily is the voice of Sydney’s Lower North Shore. Our lifestyle content has a local angle and is relevant to the audience, who are spoilt for choice and have chosen the Mosman Daily as their source of local news since 1817. Castle Cove through to North Turramurra. Our lifestyle content has a local angle and is relevant to the audience, who are spoilt for choice. Bayside Leader enjoys a special connection with the residents of Bayside. Hugging a 17km stretch of the picturesque Port Phillip Bay foreshore, Bayside Leader is read every Tuesday in 84,000* homes from Beaumaris to Brighton. Offering some of the best residential living and vibrant shopping strips in Melbourne, Bayside is one of the city’s most beautiful and affluent areas. With famous attractions such as the Royal Melbourne and Victoria golf courses, the Brighton Beach bathing boxes, the Middle Brighton Sea Baths and Rickett’s Point Marine Sanctuary, Bayside Leader is also the best way to connect with high income earners, influential professionals and families looking for the best education available. Quality public and private schools makes Bayside a drawcard for families. Source: *emmaTM conducted by Ipsos MediaCT, 12 months ending March 2017. The Caulfield Glen Eira/Port Phillip Leader is the area’s leading local newspaper. Read in 40,000* homes and businesses from Balaclava and Caulfield, to Elwood, Albert Park and South Melbourne. The Port Phillip area covers 12km of spectacular bay foreshore and offers vibrant inner-city living combined with a relaxed beach lifestyle with some of the best cafes, bars and restaurants Melbourne has to offer. St Kilda is Melbourne’s beachside, live music hub and inland, Glen Eira is a drawcard for young professionals and their families, and the heart of Melbourne’s Jewish community. With a high rate of apartment development underway, both municipalities are experiencing strong population growth. The area is famous for the picturesque St Kilda Pier and its resident fairy penguin colony, the century-old Luna Park, Caulfield Racecourse, St Kilda Botanic Gardens, Station Pier, the St Kilda Yacht Club, South Melbourne Market, Point Ormond, The Astor theatre, historic Emerald Hill and Albert Park Lake; home of the Formula 1 Grand Prix. It is also renowned for its cultural festivals, including the St Kilda Festival and the Jewish International Film Festival. Most commercial activity is located in the area’s retail shopping precincts. Acland St and Fitzroy St in St Kilda, Glenhuntly Rd in Elsternwick, Carlisle St in Balaclava, Clarendon St in South Melbourne and Bay St in Port Melbourne are just a few areas offering a wide range of boutiques, stores, restaurants and cafes. Caulfield Glen Eira/Port Phillip Leader is also available online at caulfieldleader.com.au allowing readers to catch local news opinion at any time and in any place. Source: *emma™ conducted by Ipsos MediaCT, 12 months ending March 2017. First published in 1946 as the Chadstone Progress, the Progress Leader newspaper is now published on Tuesday and covers the suburbs of Kew, Hawthorn, Balwyn, Camberwell, Glen Iris, Ashburton, Canterbury and Surrey Hills. Today, it is delivered free to over 61,000^ local homes and businesses. Stonnington Leader connects with Melbourne’s inner eastern suburbs each Tuesday to inform, entertain and educate locals about the news relevant to them. It is delivered to over 35,000^ homes and businesses in South Yarra, Prahran, Toorak, Armadale and Malvern. Stonnington is home to several established and flourishing local boutique shopping strips and fine food specialists including Chapel St, Chadstone Shopping Centre, High St in Armadale, Glenferrie Rd and Toorak Rd. Frequented by hip, young, urban professionals, Chapel St is known for its nightlife, in contrast to Armadale which is renowned for its wonderful antique and arts trading precinct. With its mix of old and new, Stonnington residents are proud of their area’s neighbourhood character. Also available online at stonningtonleader.com.au, Stonnington Leader is accessible anywhere and at anytime across multiple platforms. With an in-depth knowledge of the prosperous area and its affluent residents, Stonnington Leader provides an ideal platform to advertise your business to the residents in the City of Stonnington. 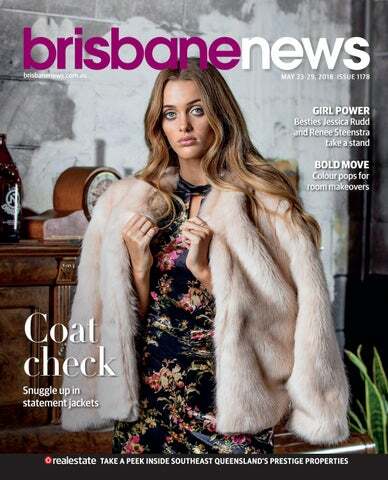 The Western Suburbs Weekly has graced the coffee tables of Perth’s most affluent suburbs for the past 15 years, giving readers diversity in its content from week to week. The team consistently presents a newspaper with striking images, strong news stories, in-depth features and easy-reading Lifestyle content. It also challenges daily newspapers and TV crews by breaking news via Communitynews.com.au with reporters positioned right in the heart of the community.